Learn how your Orange City dentist can improve your smile. Want a better-looking smile? Dentists have a wide array of tools at their disposal for improving the look of your smile. Dr. Andrew Yoon at CapeVista Dental in Orange City, FL, offers a full range of dental services. Here are five dental procedures that can improve your smile. Dental implants are replacement tooth roots made of titanium that are inserted into the jawbone. Dental implants restore lost teeth so that they look, fit, feel and function like natural teeth. Missing teeth can cause a cascade of problems such as bone loss, chewing difficulty, speech problems, shifting of surrounding teeth. Dental implants can prevent these problems. Dental veneers are wafer-thin, custom-made shells of a composite resin material or resin, which are bonded to the front of teeth. Veneers can correct a wide variety of problems such as fractures, chips, misshapen teeth, mild alignment problems and more. Veneers can also give you a whiter, brighter smile. Dentures are appliances that are custom made to replace an individual's missing teeth. A complete denture is used when all of the patient's teeth are missing. Complete dentures are made of a gum-colored plastic base and support a full set of artificial teeth. A partial denture is used when only some of the teeth are missing. Partial dentures consist of false teeth attached to a gum-colored base that is made of plastic. Dental crowns are used to restore weakened, badly decayed, cracked, chipped, discolored and damaged teeth. Dental crowns restore full function of your damaged teeth. Dental crowns can help you chew better. They can also restore your ability to speak. 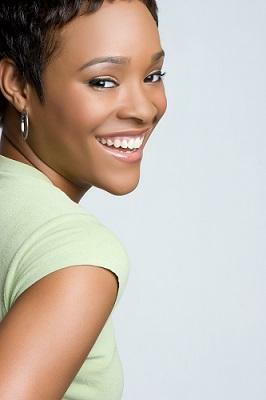 With crowns, people can restore their damaged teeth and give the illusion of always having a healthy, beautiful smile. If you're unhappy with your smile, dental bonding may be the answer. Dental bonding is among the easiest and least expensive cosmetic dental procedures. Dental bonding is used to repair chipped, decayed and cracked teeth. This dental procedure is also used to improve the appearance of discolored teeth and close gaps between teeth. So, what are you waiting for? If you've ever wanted a beautiful smile, this is your chance! Call CapeVista Dental at (386) 774-0125 today to schedule a consultation in Orange City, FL. Remember, it's never too late to improve your smile.